Many the ingredients offered by a land magical like the Emerald Island is to its people. From meat - beef, lamb, pork - to fish, in particular salmon (lucky Irish!) passing through cheese, and butter, and milk and every sorta of veggies and fruits. 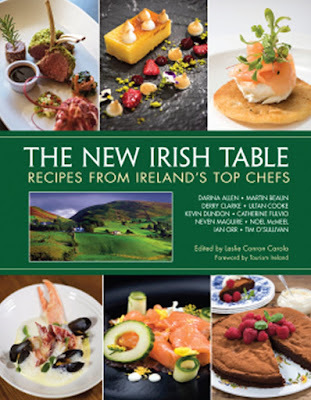 Ten stellar chefs, most of them with a great curriculum in this new cookbook The New Irish Table Recipes from Ireland's Top Chefs by Leslie Conron Carola, will propose us new recipes with fresh and seasonal ingredients. This beautiful cookbook will be published on February 7th, so you mustn't wait a lot of time. for grab your copy! Passing through sea recipes to pear puree, every possible person will be satisfied by this myriad of wonderful recipes. Pictures of Ireland published in this book are spectacular and dreaming like only this land is able to be like also the ones of the various dishes created by the ten chefs involved in this new introduction of the various dishes of the areas of the country taken in consideration. 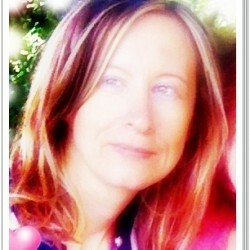 Go for it with the certainty of buying a great and spectacular product and a very good Irish cookbook! Thanks to NetGalley and Charlesbridge for this book.